By tradition, the leading trade fairs of the Ukrainian food industry, the 25th International exhibition of equipment and technologies for food processing industry INPRODMASH and the 17th International exhibition of equipment and materials for packing UPAKOVKA are held on September 8-10 in Kiev. This year, the exhibitions will be held in the International Exhibition Centre, located at the address: Kiev, Brovarskoy prosp., 15. Equipment, tools, materials and ingredients for various industries: meat, dairy, fat, confectionery, grocery, canned food, etc. will be exhibited at INPRODMASH 2015. 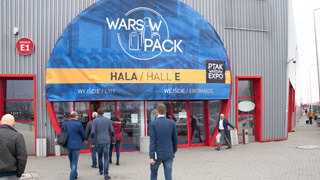 Modern packaging technology and equipment for both large and small enterprises, as well as lines for trade companies and catering will be showcased at UPAKOVKA 2015. The uniqueness of these exhibitions lies in the direct dialogue between providers and consumers. Annually, these fairs are visited by more than 7000 professionals involved in different branches of food processing industry and agricultural sector. Most of them attend INPRODMASH & UPAKOVKA regularly. 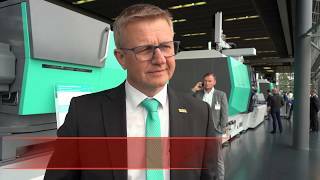 The main purpose of their visit is to get acquainted with technological innovations and to meet with partners. Due to their popularity and effectiveness, INPRODMASH & UPAKOVKA are included into the list of exhibitions that take place with the support of the Ministry of Agrarian Policy and Food of Ukraine. Last year, the Minister of Agrarian Policy and Food of Ukraine stated that INPRODMASH & UPAKOVKA contribute to the improvement of investment and innovative activities of food and processing industry enterprises, as well as to product safety and further integration of Ukraine's agricultural sector into global markets. INPRODMASH & UPAKOVKA are certified by the Global Association of the Exhibition Industry (UFI). Statistical data of these exhibitions is audited yearly. Every year, European and Ukrainian industry leaders take part in INPRODMASH & UPAKOVKA. INPRODMASH & UPAKOVKA is the most effective way to promote products, find partners and receive the latest information on trends and consumer demand.